Drum heaters, 1500 W - built rugged and designed to last. Tough Dupont Cordura exteriors, tested in some of the most demanding environments. Arctic ready commercial heaters. 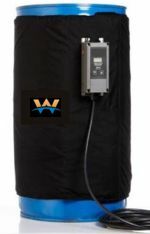 Drum heating blanket wraps built quality rugged units supplied by Westatlantic, are not vinyl type products. They are industrial grade barrel heaters for use in tough field operations. Barrel Heaters that out-perform and out-last. Precise controllers that meet exact temperature requirements. 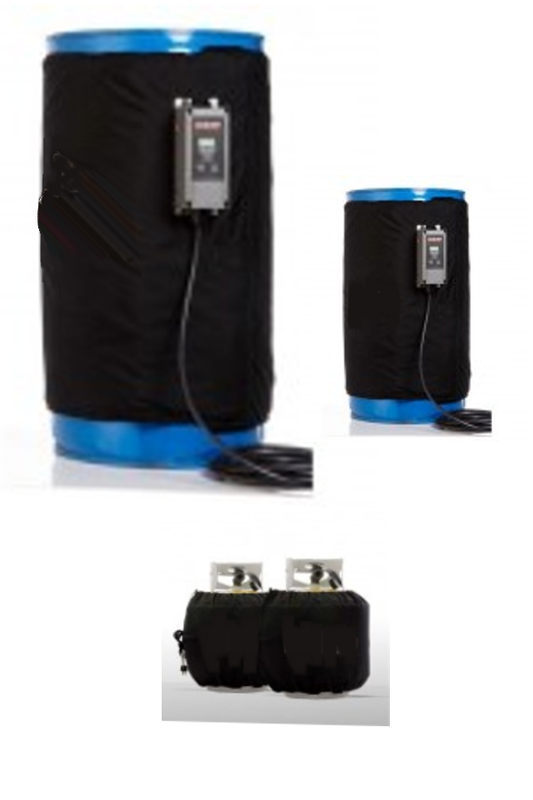 Drum heaters, are available in various sizes, 55 gal, 30 Gal, 50 Gal Drum Heaters. Smaller pail heaters are available as well. Easy to installed, the heated wraps are built to fit securely with Velcro closures or Nylon straps. Barrel heaters with DuPont Cordura exterior - Urethane lined for water & tear resistance. DuPont Nomex heater construction, Silicone insulated heating elements, DuPont Nomex felted insulation. Drum Heater Wraps for multiple drum heating at a time - Mobile quick install, Barrelheaters for any location. Heating jacket drum ovens, wrap (4) 55 gallon drums on a pallet. 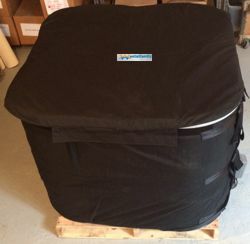 Heating wraps cover the sides of the drums and an insulated lid keeps the heat in. Multiple drum warming is economical and may be use in any location. Drum oven units are durable, temperature accurate, and weather resistant. Easy to install, by wrapping the jacket around the drums and drawing it snug with quick-release buckles. Frac tank heating, petroleum tank heating, propane tanks, dairy farm tank heaters, water tank heaters, silo heaters, construction site heaters, waste water tank heating, pipe heaters, freeze protection for pipes & tanks, ground thaw heaters, concrete curing blanket heaters, hydraulic tank heaters.